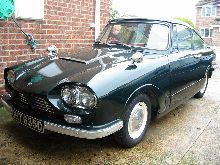 The GT, a 2+2 two door coupé was the company's first car and was made between 1959 and 1967. 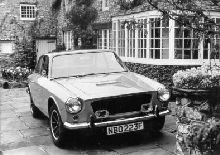 The GT Mk 1 was initially available with either 948 cc Austin-Healey Sprite with an optional Shorrocks supercharger or Coventry Climax 1098 cc engines. The chassis was fabricated from square steel tubing and the front suspension was initially from the Austin A35. The body was a one piece moulding. Later versions came with a B-series 1500 or 1600 cc MGA or 1800 cc MGB engine and coil sprung BMC rear axle. 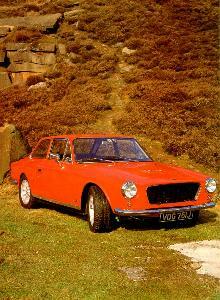 With the coming of the larger engine, the car was renamed the 1800GT. 7' 9" 0' 0" 0' 0" 12' 8" 5' 0" 0 (0) 0' 0"